The property market can feel like a very daunting place, plagued with false hopes and the dreaded property chain. However, with a housing shortage in the midst, your home should be in high demand. If your house has been on the market for a long while and isn’t getting the attention you feel it deserves, take a fresh approach and sell through Seymours. We want to take you out of that rut and give you the best chance to sell your home this autumn. It is vital to establish a good relationship with your estate agent. At first, you might have had frequent and substantial communication, but if your house isn’t selling and they are no longer getting in touch, then you might feel neglected. At Seymours, we are committed to our clients and will be in frequent communication at any stage of the process. The current housing climate is seeing a decrease in property prices. However, this is not to say that you should feel pressured by your estate agent to reduce your asking price. Here at Seymours, we believe we can help you to sell your home at a price that you are comfortable with. Whilst the property market has changed over the last two decades, our commitment to our clients and providing the highest levels of estate agency to those we represent remains the same. This one speaks for itself. Maybe your photos need a revamp or your house needs a spring clean. But ultimately, your estate agents’ job is to sell your home. And if they aren’t fulfilling their end of the bargain, then it’s time to switch.If these warning signs apply to you, then we suggest you get in contact with us and see how we can help you. Just remember to look at your current contract and to check your notice period to withdraw from their services. 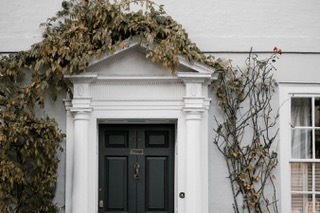 If you’re still unsure whether to change your estate agent, we can still help you; pop over to our social media pages and see our top tips and advice to spruce up your house so it is ready to be sold.